One of the burning issues in Employment Law at the moment is that of Social Networking in the Workplace. 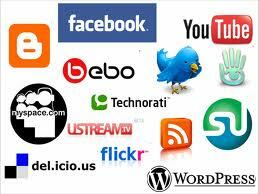 In a 2011 study by Peninsula, 67% of employee admitted to checking their social networking site during working hours. From an employers perspective there are two main concerns with this, the first being the loss of productivity with employees checking these sites during working hours, and secondly the immediate access a site provides for employees to make comments and post updates on a large-scale. The latter issue is perhaps what is most concerning from an employment law perspective lately. There have been an increasing amount of cases where employees have been disciplined or dismissed by their employers for their activity on social networking sites during working hours. A recent Irish Times article has also highlighted the concerns posed by social networking and some items to be mindful of from recent case-law when looking at dismissing employees. The overriding conclusions we can draw from current case-law is that the Tribunals in Ireland are taking social networking on a case by case basis, where the focus is on the consequences of the activity (i.e. what was the damage to the employer) when looking at if a dismissal was fair or otherwise. In what is perhaps a seminal case on social networking, Emma Kiernan v A Wear Limited (UD643/2007), the tribunal heard how the employee made comments on a Bebo page that was linked to the AWear official site. The comments included profanities and was viewed by a customer, and brought to the attention of HR. The employee was dismissed and the Tribunal found this to be disproportionate to the offence and awarded compensation. The Tribunals reasoning being that the comments deserved strong censure and possible disciplinary action but they did not constitute gross misconduct in the circumstances, and compensation int he amount of €4,000 was awarded. In another claim where the decision was found to be disproportionate, Walker -v- Bausch & Lomb (2008), an employee posted comments on a company intranet regarding redundancies. this was taken down shortly afterwards by the Company was not seen by many employees so the tribunals view was the damage to the company was minimal and the sanction of dismissal was again disproportionate. The tribunal awarded compensation of €6,500 to the employee. However to show that the tribunals will also favour employers from time to time, In O’Mahoney -v- PJF Insurances Limited (UD 933/2010), the employee posted derogatory comments on Facebook in respect of her employer. The Tribunal held that her dismissal had been fair, and a key factor was that the employer was specifically named in the offending posts. Thus the argument was the employer was damaged by these comments. Also in Preece -v- Wetherspoons, the employee was held by the tribunal to have been fairly dismissed for posting derogatory comments regarding customers on Facebook. The Preece case also presents a significant outcome for the employers as the Company staff handbook stated expressly that acts committed outside work that bring the employer into disrepute would constitute misconduct. The company also reserved the right to take disciplinary action where a blog posting tended to lower the reputation of the company. The Tribunal found that with all of these factors taken into consideration the Company was justified in their actions. A well thought out Social Networking policy is essential for employers, and should incorporate activities outside of working hours or on non work computers, and present employees with the potential outcomes should any employee be dismissed for Social networking Activities. The Policy should also clearly state that the employer owns anything created in the course of the persons employment, as a recent UK case of Hays -v- Ions debated the issue of who owns contacts created on a LinkedIn page, and the issue at hand was the employee had been offered a new role and tried to take their LinkedIn contacts with them to the new role. From an employers perspective the overriding matter to recall at when looking at potential action, is that the damage incurred by the employer is properly assessed, as if there is not arguable damage to the Company/Reputation the potential for dismissal is significantly reduced.